The Optimum System is the optimum answer to your needs. It’s a multi-purpose offer that will fulfil its role in multi-family houses as well as in your own new dream house. Slants, arches and a wide range of veneered profiles enable the construction of windows suitable for various types of interiors. 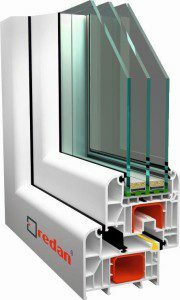 The Termo Optimum System is a profile of a low thermal transmittance factor that still comes in competitive prices. higher structure rigidity achieved by applying an enclosed profile reinforcement in the frame. 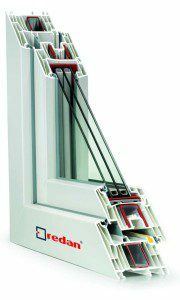 In veneered windows the profiles include a 2 mm thick reinforcement. The KBE Eco Plus system provides the best balance between price and quality. 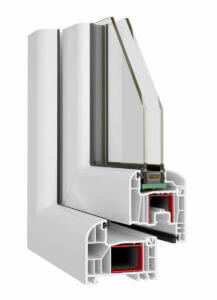 For economical reasons, windows made of plastics make it possible to reuse the PVC. Introducing KBE ECO PLUS windows is a sign of trust shown to the concept of reusing the original material. 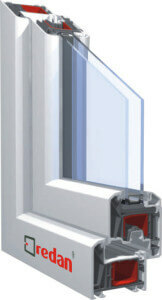 Owing to a deep window rebate, additional warmth or sound insulation and burglary protection can be applied. The interior rigid core can also be made from closed steel; producing it with very high quality materials increases the profile’s stability. 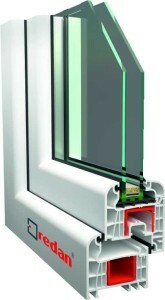 Based on the OVLO window construction system, it’s superior due to its attractive parameters. The OVLO CLASSIC window has a sash forming a gentle line which gives it an alluring look. A 6-chamber profile with a 80 mm wide installation provides excellent thermal parameters.